Exotic and Durable Leather Boots Available.Leather boots can make any man look and feel rugged, tough and ready to take on the world. 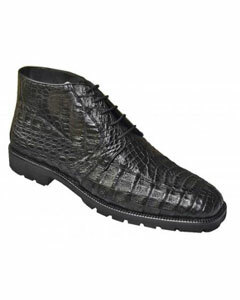 If you're searching for exotic leather boots that are made of durable alligator, ostrich, snake, elephant or crocodile skin, you don't have to frantically search the entire Internet. Just pay MensItaly a visit. 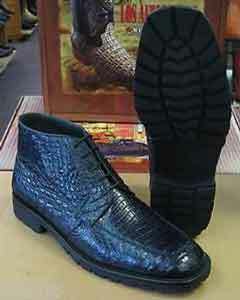 Our choices in high-quality lizard skin boots are abundant. Our online retailer makes shopping for ostrich skin cowboy boots simple and fun. 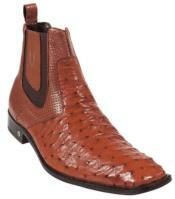 We make shopping for alligator skin cowboy boots just as pleasant, too. Men who need first-rate crocodile skin ankle boots can always count on our exciting offerings. 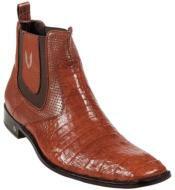 If you're looking for a trustworthy online shop that can handle all of your mens exotic skin boot needs, you need us! Our mens exotic skin cowboy boots are the finest of the finest. 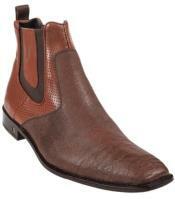 Our leather boots are undoubtedly attractive and eye-catching. They offer a lot more than just physical beauty, however. That's because they're also amazingly comfortable and easy to wear. It doesn't matter if you're looking for ostrich skin cowboy boots to wear for a day of relaxation or if you're searching for crocodile skin ankle boots to wear to a late night party at a friend's house. 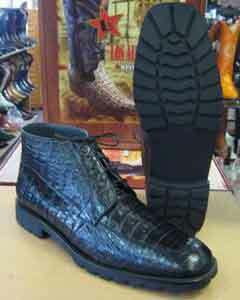 We can accommodate all of your mens exotic skin boot needs without a problem. Our options are so plentiful that they're practically overwhelming. That's totally okay, though. Our kind shop representatives are always available to lend you a helping hand and to point you in the right direction. Our leather boots come with all sorts of diverse and interesting features. 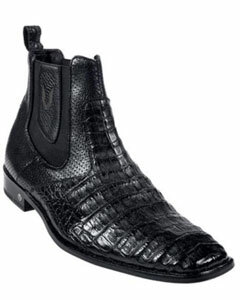 If you want to buy lizard skin boots that are equipped with convenient zippers, we have some great options waiting for you here at MensItaly. 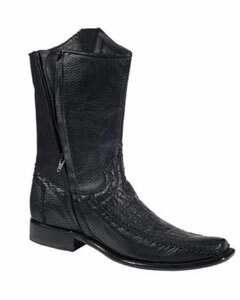 If you want to purchase alligator skin cowboy boots that are equipped with laces, we have some superb choices on hand for you, too. Our shop carries standard leather boots that are suitable for gentlemen with more subtle style preferences. 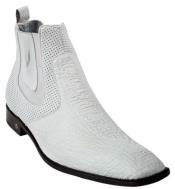 We carry leather boots that feature striking designs that are optimal for gentlemen who like things flashy as well. 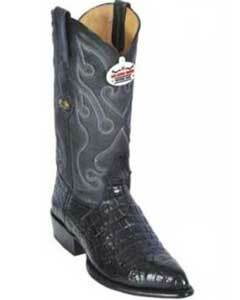 If you want to invest in mens exotic skin cowboy boots that are memorable and distinctive, we have your back. 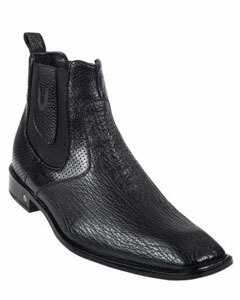 Our exotic leather boots are the picture of fantastic craftsmanship and durability. If you want to spend your money on leather boots that won't wear down easily, you can count on our extensive and affordable selection. MensItaly(where you will find the best zoot suit and 3 piece suit options) is a shop that always prioritizes budget-friendly footwear. 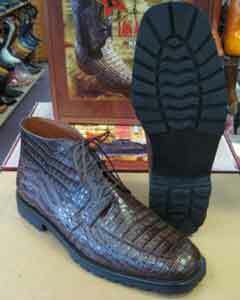 It can often be tough to find inexpensive options in crocodile skin ankle boots. Our business, however, makes the process easy and convenient. 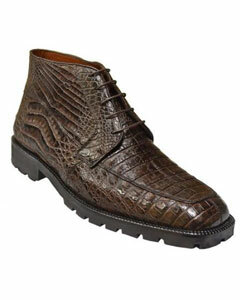 Visit MensItaly any time you're looking for diverse and fascinating choices in exotic leather skin boots of all kinds. If you have a penchant for elephant, alligator or crocodile skin, our choices should be right up your alley. Head to our online shop today!